"Just like TOMRA, Nick is a true champion of the Circular Economy, so he is a natural fit with the TOMRA team and work philosophy," comments Carlos Manchado Atienza, regional director Americas for TOMRA Sorting Recycling. "With his extensive previous sales experience for one of our plant-building partners, Nick offers in-depth knowledge of TOMRA sorting equipment. He is the right person for the western North American territory to support our customers and help them boost product purity and circuit productivity." Prior to entering the industry, Doyle received an advanced degree in Global Sustainability with a focus on Business Strategy. He worked for TOMRA plant-building partner, Van Dyk Recycling Solutions, for six years, selling and supporting TOMRA equipment to material recovery facilities and recycling operations. Most recently, he worked for a renewable energy company whose primary business was converting waste and biomass to energy. "TOMRA is a role model for the Circular Economy. 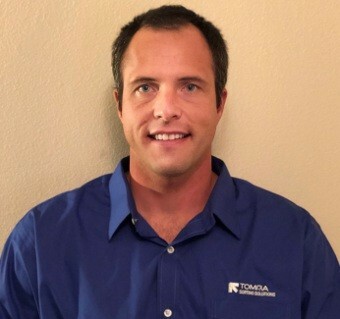 When I sold TOMRA equipment with my previous employer, it was my favorite solution because of its versatility and impact on the sorting circuit," says Doyle. "I'm excited to work for a company that brings about a positive change for the environment and ushers in more sustainability to the market. Waste and organic materials are primary contributors to the Greenhouse Effect, and I look forward to providing the industry with TOMRA sorting solutions to efficiently and profitably increase the recovery of these materials."